The week started off with a 4.26 mile walk through the sand and dunes of Sandy Neck Beach with my mom and the pup. We’d only ever done “Train 1” but decided “Trail 2” didn’t look much further on the map. Yeah, that’s a lie. 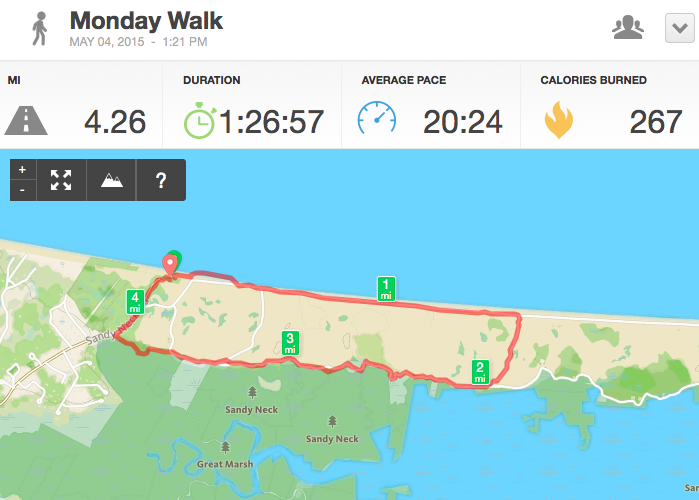 It’s almost 3 miles longer and we weren’t prepared. It was HOT with a nice warm breeze off the water. The dog did ok. We only brought water for her while the humans struggled! Trail 2, you kicked our butts. Tuesday was one of my favorite spin classes and playlists ever! 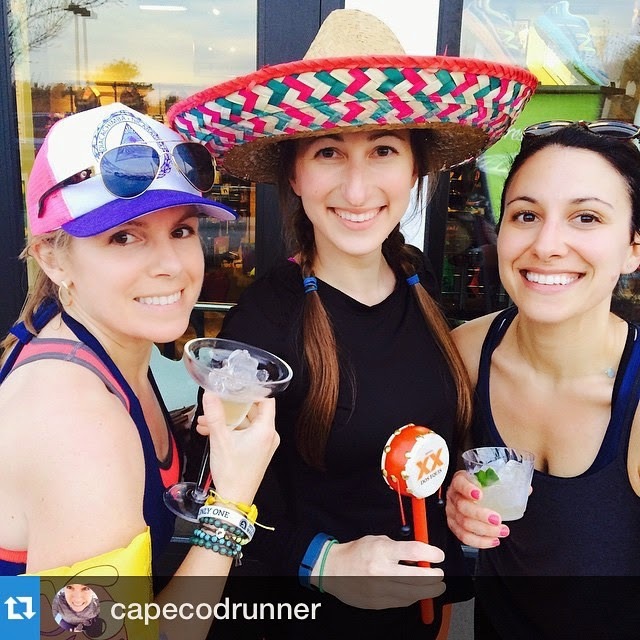 So much energy for Cinco de Mayo! I wasn’t feeling so hot at Run Club but I couldn’t miss an opportunity to try on Hoka One One shoes to see what they hype was all about! · I signed up for my first obstacle race! 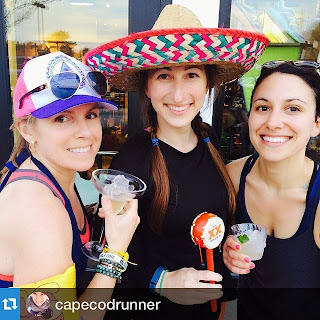 · I signed up for Women Running Wild!